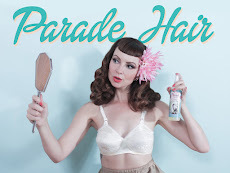 Miss Happ Rockabilly and Pin Up Clothing: Miss Happ will be on Holiday soon! Miss Happ will be on Holiday soon! With the Holiday season creeping up on us at speed, make sure you get your Miss Happ orders in no later than the 17th of Dec.
our Miss Happ shop (CT) and Etsy store will be closed from the 21st of Dec & will reopen on the 7th of Jan 2013. Miss Happ is on holiday! Miss Happ official shop launch!